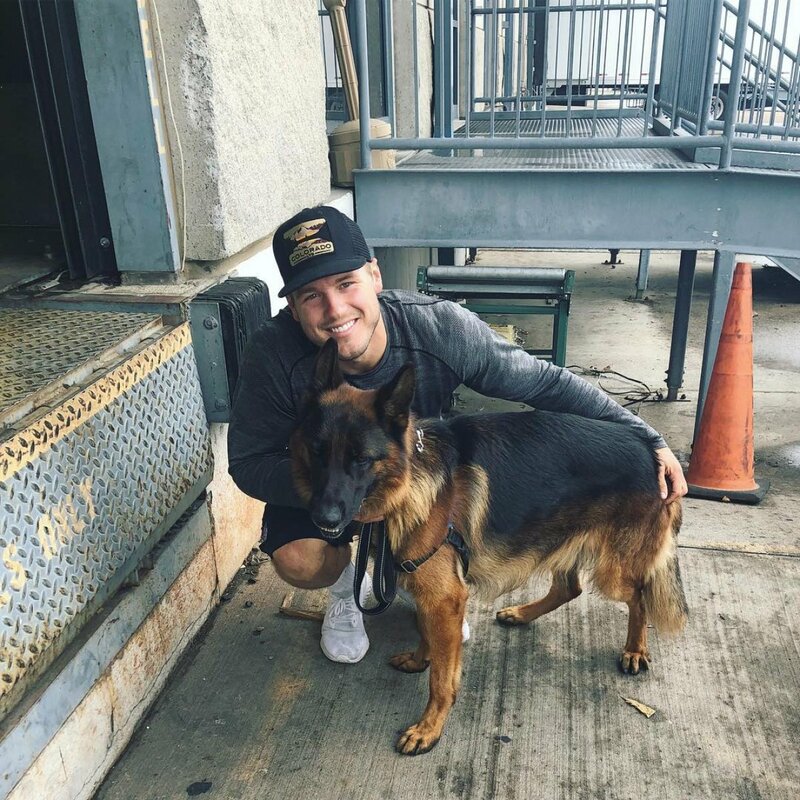 Bachelor in Paradise star Colton Underwood has adopted a dog, and he couldn't be more excited about the new addition to his life. "Welcome home kid," Colton captioned a photo of his new dog Sunday on Instagram. RELATED LINK: 'BACHELOR IN PARADISE' SPOILERS: WHO GOT ENGAGED ON SEASON 5?! WHICH COUPLES ARE STILL TOGETHER AND DATING? One day earlier, the bachelor posted an adorable photo of himself with the German Shepherd, explaining the dog's story. "Everyone meet Thor....Thor is family. Yesterday I had the privilege of selecting a rescue to support for the month of September on behalf of @puppiesmakemehappy -- when I chose the winner (@bunnysbuddies) they thanked me and sent a few photos of dogs I was helping along with their stories," Colton began. "One dog in particular stood out to me. A 2-year old German Shepard that was set to be butchered in Korea. When I found out he was rescued and rehabbing/training in San Diego i knew i had to get him." The 26-year-old former professional football player continued, "Fast forward 24 hours, Amanda and Kyle who run Bunnybuddies drove to LA, spent the night with Thor in a hotel and put him on a plane to get to me today." Colton concluded that he couldn't thank those two enough for "playing such an important role in Thor's life and saving him." He called Amanda and Kyle "incredible people" and said he'd always be grateful for the organization. Colton, who is already a dad to a black lab named Sniper, is currently looking for love on Season 5 of Bachelor in Paradise. Colton traveled to the Mexico resort after failing to win the heart of Becca Kufrin on The Bachelorette's fourteenth season. Becca eliminated Colton after his hometown date and a visit from her pal Tia Booth, who admitted she still had feelings for her former flame, whom she had briefly dated before Arie Luyendyk Jr.'s season of The Bachelor began airing in January. Once in Paradise together, Colton and Tia went on a date, but he needed closure from Becca in order to continue on with the dating process. Colton therefore put Tia in the friend-zone, but it's apparent he still cares for her and their romance is probably not over. Bachelor in Paradise premiered August 7 on ABC and currently airs on Monday and Tuesday nights at 8PM ET/PT. Interested in more Bachelor in Paradise news? Join our Bachelor in Paradise Facebook Group!